On 16th February cadets from all over the UK descended on Crickhowell Training Centre of Gwent & Powys ACF for the musical training weekend, which ends with the annual Rorke’s Drift Concert. This music camp has been run by Colour Sergeant Adrian Beckett MBE, a Welsh Guards musician, for the past 15 years on behalf of Gwent & Powys ACF and is the most exciting and popular of all musical activities in the Army Cadet Force. “This year marked the 15th anniversary of the concert”, Adrian declares, “and for the first time in its history I have managed to put together musicians from Scotland, England, Wales & Northern Ireland". Two days of intense musical training led up to a sell out concert. “Tickets have not been available since mid January and I am aware of parents travelling to support the concert from as far away as Scotland, Lincolnshire, Hampshire and Cumbria just to be apart of this great event”. 150 musicians performed in the concert this year with soloists Cadet LSgt Christian Dullea of Gwent & Powys ACF and Cadet Sgt Adam Higginson of 1st (NI) Battalion ACF. Nearly 500 members of the public made up the audience including special guests; Lt Gen Andrew Graham CBE - President of the ACFA; The Honourable Mrs Sian Legge-Bourke LVO - HM Lord Lieutenant of Powys; and Brigadier Robert Aitken CBE - Honourary Colonel Gwent & Powys ACF. This is the concert all musicians in the ACF want to attend as it extends all their training and rehearsal into the public eye which is extremely exciting for any young person. Click here to read Cadet Russell Harvey's story of being one of the musicians who took part in the concert. "Rorke’s Drift was an amazing experience for me. It was my first Rorke’s Drift concert but it definitely won’t be my last. I didn’t know all of the music as I have only been learning to play my cornet for 6 months but I tried my hardest and had fun anyway!". 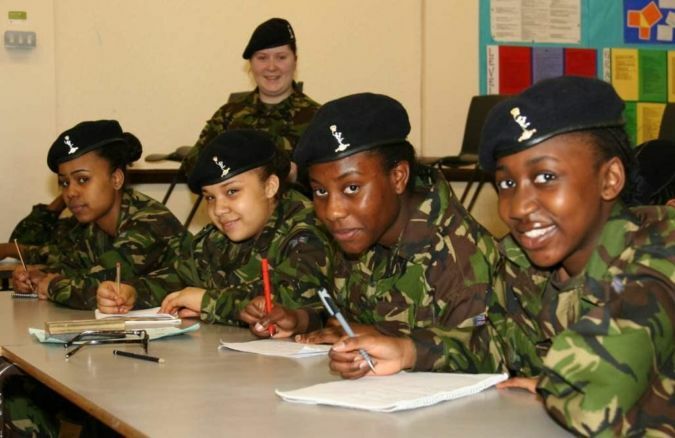 Cadet Jasmine Rhianon Ives, Royal County of Berkshire ACF. "It was our Corps of Drums first ever time at Rorke’s Drift and I had the best time of my life. The atmosphere at the concert was phenomenal, the audience was excellent and so are the musicians. It was the best concert I've ever performed in". Cadet Sgt. Adam Higginson, 1st (NI) Battalion ACF Corps of Drums. "This was my first time at Rorke's Drift but what made it special was that we were representing the Irish Guards and Northern Ireland for the first time. On behalf of the 1st (NI) Battalion ACF Corps of Drums I would like to thank Colour Sergeant Beckett and Gwent & Powys ACF for inviting us to take part in the 15th Anniversary of Rorke's Drift". CA Scott Cunningham, 1st (NI) Battalion ACF Corps of Drums. Next year's music camp is being held over the weekend of 23rd February 2013 and is already nearly fully booked! To find out more about this event email Colour Sergeant Adrian Beckett.